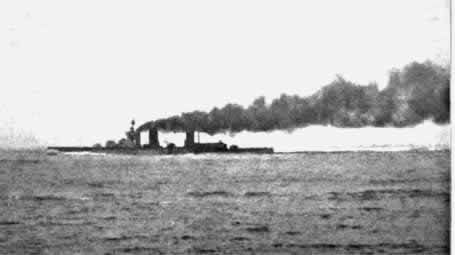 HMS Lion was hit by a 12 inch (305 mm) salvo from the German battlecruiser Lützow which blew the roof off the "Q" turret. Dozens of Royal Marines were killed, but a far worse catastrophe was averted when Major Francis Harvey, the mortally wounded turret commander, both of whose legs had been severed, with his last breath ordered the magazine doors to be closed. The magazine flooded, thereby preventing the cordite propellant from setting off a massive explosion. How close the ship came to destruction was later discovered when several of the gunnery crew had been found dead, with their hands still clutching the magazine door handles. "Whilst mortally wounded and almost the only survivor after the explosion of an enemy shell in "Q" gunhouse, with great presence of mind and devotion to duty, ordered the magazine to be flooded, thereby saving the ship. He died shortly afterwards." "As the direct result of a German shell penetrating the roof of the turret 10 minutes after the action started, a cordite fire occurred in "Q" Turret which nearly resulted in the magazine and so the ship blowing up. It appears that all the occupants of the gun-house proper, most of the silent-cabinet's crew, and most of the working chamber's crew situated directly below the gun-house, were killed or severely wounded by the detonation of this shell in the gun-house. 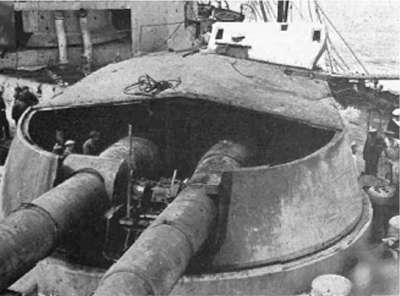 The officer of the Turret, though himself severely wound, realised that his turret was out of action and on fire, and also that the fire might reach the magazine. 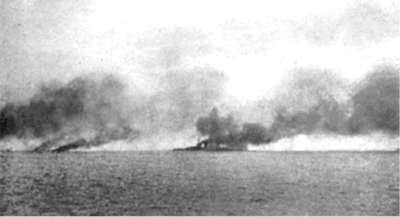 He accordingly passed his orders by the direct-voice pipe down to the handing room below, to close the magazine doors and open the magazine flood valves, This order was promptly carried out, and did in fact prevent the flash from the cordite charges reaching the magazines, and so the ship from being blown up. After giving his orders to the handing room, the Officer of the Turret sent his Sergeant, who although very badly burned and wounded was conscious and capable of movement, to make a personal report to the Captain to the effect that the turret was definitely out of action, and that the flooding of the magazine had been ordered. The Sergeant succeeded in clambering to the bridge and made his report. There were only two others of the turret's crew who escaped with their lives. The damage and loss of life caused by the actual explosion of the German shell did not extend to the magazine handing-room and shell-room crews, none of whom were wounded, but unfortunately all of them lost their lives through the cordite fire which followed a few minutes afterwards. An inspection of the state of the interior of the turret, made as soon after the action as was possible, indicated that this serious cordite fire originated in a curious way. The lever which controls the working of the left breech was blown to the rear, i.e. in the direction "open the breach" and accordingly the breech opened. The gun was loaded, and the shell in the gun being unseated by the shock of the hit, slid down towards the breach, falling, with its cordite charge, down into the well which is in rear of the breech, and up which ammunition is supplied. The projectile and a half-burnt powder igniter from the cordite charge was found here afterwards. The burst of the enemy shell had started a fire in the gun-house, probably of men's clothing, or in fact any inflammable material, and this must have reached down to the naked charge of cordite lying in the gun-well. This cordite caught fire and, burning, passed the ignition to cordite which was waiting in both gun-loading cages, and so down the main ammunition supply trunk. The resulting flash is that shown in the photograph taken from HMS Lydiard, as it took its easiest course to escape - namely, upwards through the roof of the turret by the hole made by the enemy shell-burst. The flash also passed down the main trunk into the shell-room and handing-room, and up the escape trunk into the switchboard compartment. In this latter compartment were stationed, besides the switchboard men and certain of the electrical repair party, the after medical party under the charge of a surgeon. All these men, together with the magazine and shell-room crews, were killed by the cordite fire. It is to be remarked that the clothes and bodies of these men were not burnt, and in cases where the hands had been raised involuntarily, palms forward, to protect the eyes, the backs of the hands and that part of the face actually screened by the hands were not even discoloured,. Death to these men must have been instantaneous."